Veterans have more to offer than ever, but finding a job is never easy. Are you a veteran looking for a job, or do you know someone who is? Here are some free online resources that can help veterans make connections and find jobs. Hire Heroes USA has built a national reputation of excellence for helping veterans find jobs, currently at the rate of more than 60 veterans confirmed hired every week. They partner with more than 200 veteran-friendly companies to offer relevant and up-to-date job postings on the Hire Heroes USA Job Board. Another free resource is enlisting the help of a recruiter. 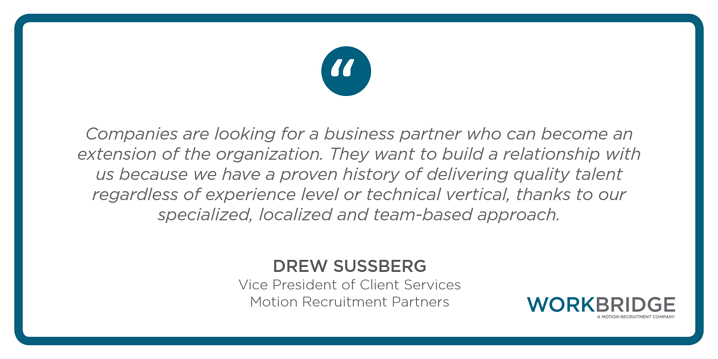 While not all specialize in placing veterans, many recruitment firms help guide professionals in their careers and place them at jobs, all at no cost to the candidate. For a list of further free resources for Veterans in their job search, please see the White House’s page on “Joining Forces” here. A candidate once asked us, "I found my dream role at a new company and went to put in my notice – but my boss insisted that I stay, countering with a generous raise and bigger office. Which offer, the counteroffer or outside offer, would be better for my career?" Managing counteroffers is a delicate art- which is why most choose to forego them. Counteroffers arise when you’ve received an outside offer, submit your resignation, and your manager sweetens the pot to entice you to stay. But before you even begin looking for a new job, it’s imperative to set time with your current boss to candidly discuss why you’re thinking about exploring for new opportunities. While it may be strictly salary-related, often dissatisfaction with management, company culture, lack of room for growth or work-life balance are influential factors. If the main reason you’re considering leaving your company is strictly financial, try to negotiate a higher level of compensation before applying to outside jobs. The best negotiation tactics are rooted in facts, not emotion. Feeling you "deserve more" is less persuasive than pinpointing exactly how many key metrics you exceeded or how much money you have earned the company. It's imperative to articulate not only what you want – but why it will improve the quality of your life and work. Rather than asking for a salary bump, show why you are worth more. 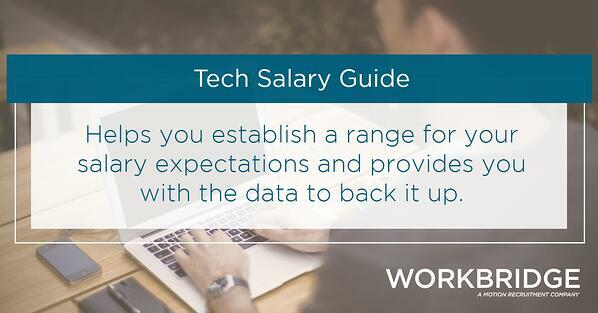 Resources like an industry salary guide, great recruiters and mentors can help you. When hearing your concerns, your boss will likely be aware of these problems and will be sympathetic to your position. 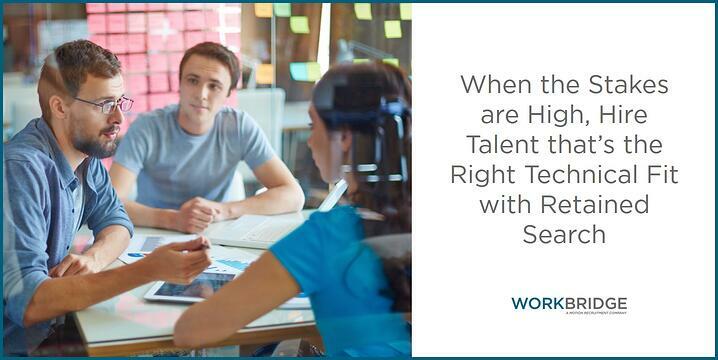 If they’re not willing to work with you to solve them, that’s your green light to update your resume and start interviewing. 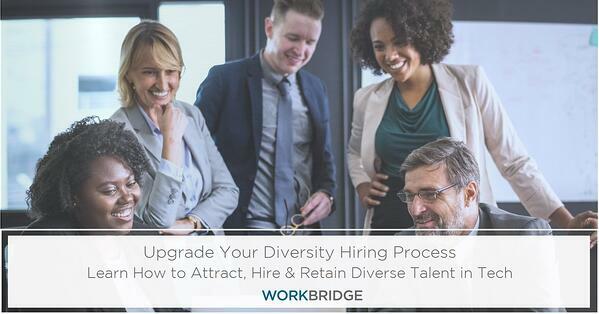 If you've met with your manager and heard paying you 10% more isn't in the current budget, what they didn’t relay is that the costs that go into searching, interviewing and training your replacement will probably exceed what you are asking for. 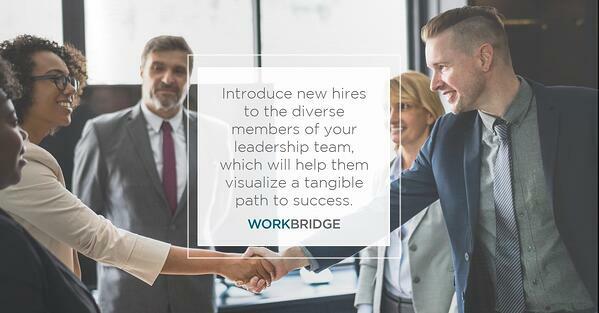 They’d likely rather put those resources toward a competitive counteroffer than a new employee. With an outside offer to fall back on, your freedom to easily walk away puts you in a more valuable position. Your hiring manager will fight for you if they like and value you – but anything you do to negate this view will hurt you. When having this conversation, treat it as a peaceful negotiation; don't be afraid to ask for what you deserve but avoid sounding greedy or petty. If your current company is trying to keep you, they will likely try to match your outside offer. While a huge boost to your paycheck is tempting, it is important to identify what gaps you are missing in your professional life beyond salary. If you have multiple reservations about staying with your company, accepting a counteroffer usually only solves one of your concerns. If you have reservations about leaving, you should address them in the offer negotiation stage. Decide what you need before walking into the conversation. 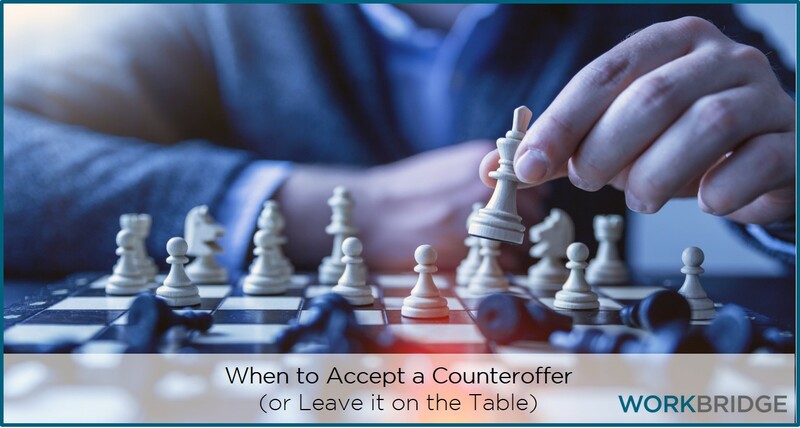 If your initial concerns were multi-fold, address them collectively in either an offer or counteroffer negotiation, rather than getting one approved at a time. If you ask for only one thing at a time, the expectation is that you will accept if they agree. If you repeatedly ask for more, the only thing you'll be offered is the door. Beyond the paycheck, focus on how you can increase your quality of life. Exciting opportunities like travel, remote flexibility, or an expense account are tangible items, but you might require something more idealistic like better management, a clearer company mission or a culture change. 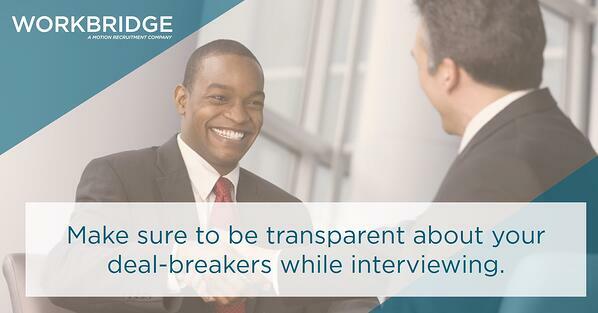 When you were interviewing for your outside offer, what attracted you to apply? No matter what the company says when making a counteroffer, the fact is that you are becoming a fidelity risk. 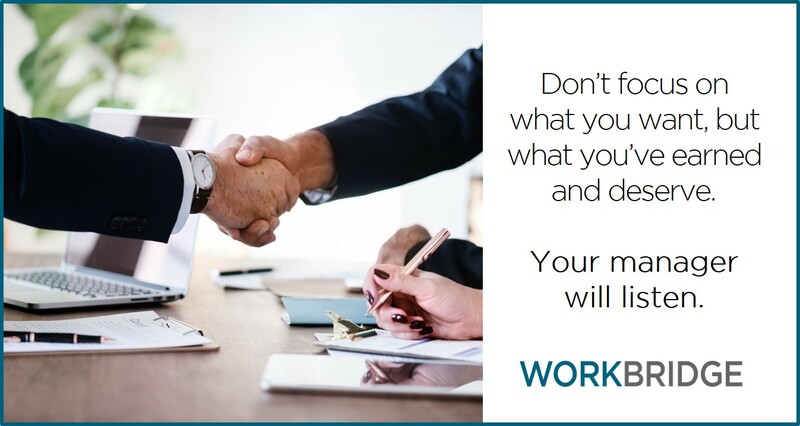 By being willing to walk away, it may seem like a lack of loyalty, which can compromise your status as a team player or member of the inner circle if you don't make your reasons for leaving - and any work life gaps - clear. Additionally, there is a strong possibility that band-aid fixes to accommodate your requests will be short term. You could be in a similar scenario searching for another role in a few short months, if a simple pay raise doesn't address all of your considerations for staying. Employers know that statistically, counteroffers are frequently the step before someone quits -- they may even start looking for your replacement after giving you the offer. Plus, if they need to lay someone off, you've positioned yourself nearest to the exit. In the job search, you'll come across positions that are salaried, contract, or contract-to-hire. Many job seekers tend to overlook the contract or contract-to-hire roles, but there is more opportunity in those roles than people realize. According to Career Builder, the career opportunities for contractors are continuing to grow. 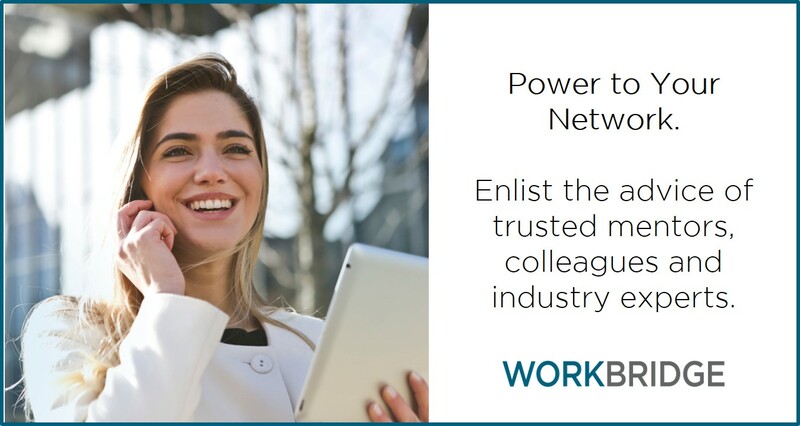 Since 2016, that number has increased by 46% with 51% of employers planning to hire temporary or contract workers.The biggest benefit, and often largest decision maker, for many contract job seekers is compensation, and more permanent candidates are turning to contract work as they find they don’t have to sacrifice benefits or work-life balance while making more take-home pay. Why is this? 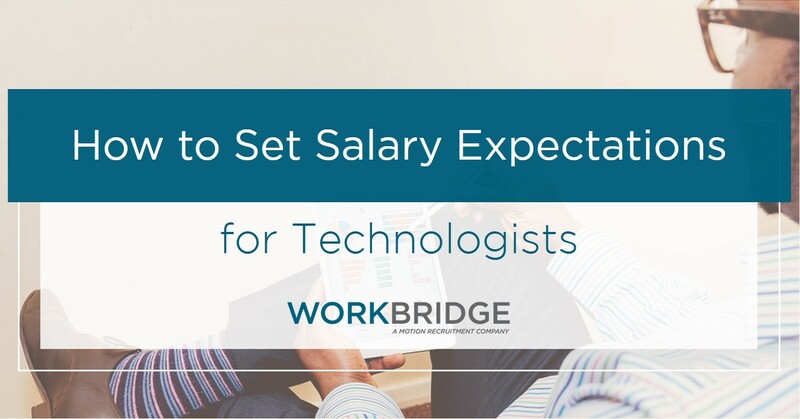 According to Dice’s 2016 Tech Salary Survey, the hourly base rate for tech contractors rings in at $70.26 per hour. In comparison, the same report also shows the average technology salary is at $96,370, which breaks down to $46.33 per hour for a 40-hour work week, not counting all the overtime you might be working. Published in a recent Recode article, in 2017 US freelance tech workers get paid $24,918 more a year compared to the average full-time worker (based on a 40-hour work week). 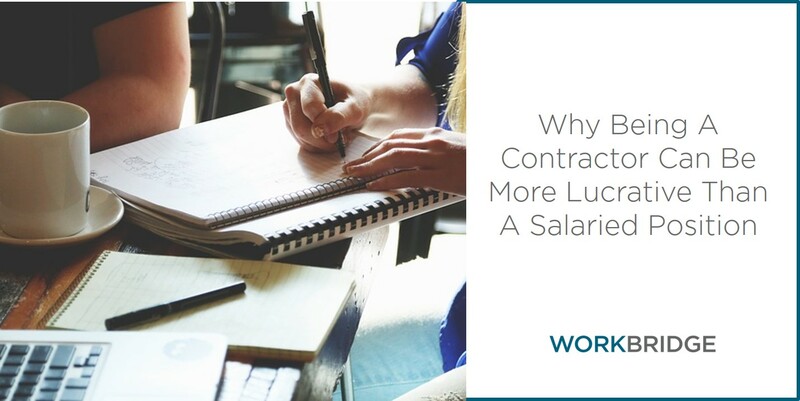 Keep in mind, this does not apply across all levels of experience or industries, but in general contract employees have a higher dollar-per-hour range compared to a salary employee. 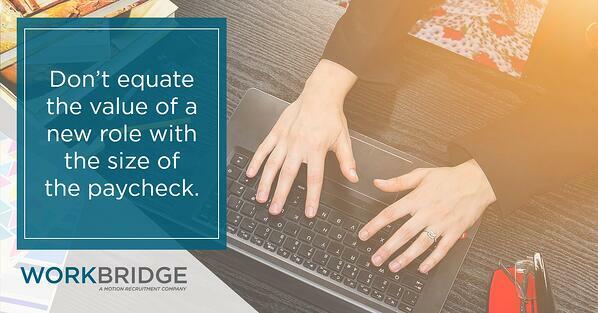 In theory, this is to cover the benefits that a company does not offer to the contractor, but if and when you work with an agency like Workbridge Associates, many of the benefits are included, such as health insurance, paid time off, and a 401(k). Looking to jump start your career in tech? Check out all of our job postings in a city near you! A full-time job means you are a salaried employee and you are just that: on salary. You get paid a certain amount each year no matter how many hours you work as part of the salary agreement. Compared to a contractor, being employed for a 40-hour work week means working those exact hours because you get paid by the hour. Oftentimes, salary employees get called into work weekends, late nights, and early mornings. The biggest difference for a contractor is that you will get paid for the extra miles you put into the job. Due to a compliance law changed in 2016, not only do you get paid for every hour, you can get overtime pay (1.5 times your normal rate) for anything past your set work week maximum. What it comes down to is the more hours you work, the more money you can earn. 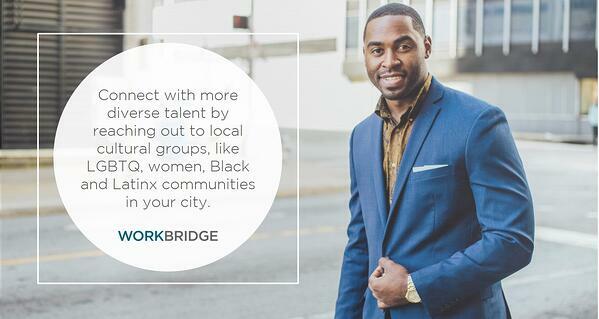 If you have any questions about contract work, contact a Workbridge Associates near you.